Cherryville Public Warehouse offers safe convenient and cost-effective North Carolina Storage Rental close to your markets. Our Charlotte North Carolina Storage Unit locations allow us to pass along the savings from our lower cost locations, labor and operational efficiencies. With over 650,00 square feet of space and 58 individual docks, we can receive and ship your goods quickly and efficiently. We believe there's no such thing as too much service. Experienced and reliable people know where your products are and can react quickly to any shipping requirements. With an average of 20 years of loyal service, they know what they're doing and they do it well. Your goods are received, counted and placed in inventory. Goods are inspected upon receipt for damage and a full accounting is made. The information entered into our inventory management system is then available to you through your individual Client Login on our web site. 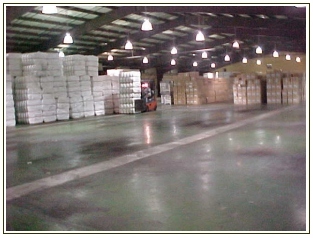 We handle all your shipping needs and tailor programs to meet your individual requirements. Our computerized warehouse system provides current inventory and activity reports, and our computerized shipping history can provide a recall of any case ever shipped to any location.